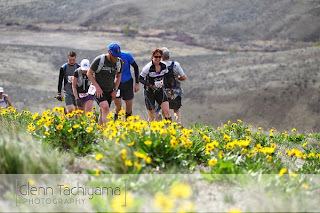 What's fun about running is being on the trail and how I feel while I'm doing it and immediately after. So may I stop grasping and just start doing. May I be in the moment more with eyes on the horizon less. The last time I got fixated on a good horizon view in the WR50 my foot caught root and I fell headfirst ** broke my steel water bottle with my shoulder ** came up with pine needles in my teeth and dirt in my ears. 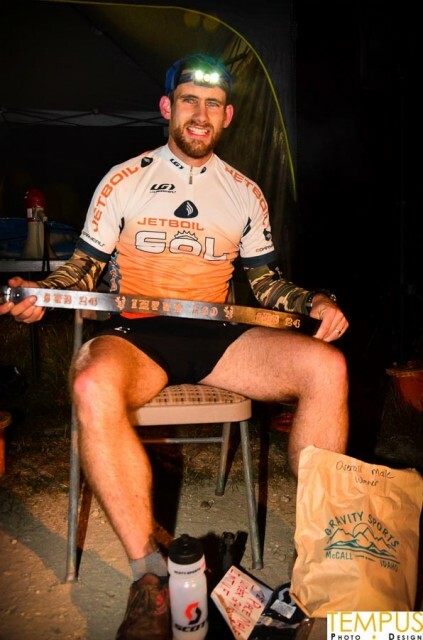 Now it would be far too easy to get stuck on getting me one of these (the belt and belt buckle...not the man): Adam Wilcox, race winner, with his IMTUF belt. While I do want that belt buckle I just want to be here...really be here and have fun. Off to train. But first I'm going to read this on how to be more zen in my running.